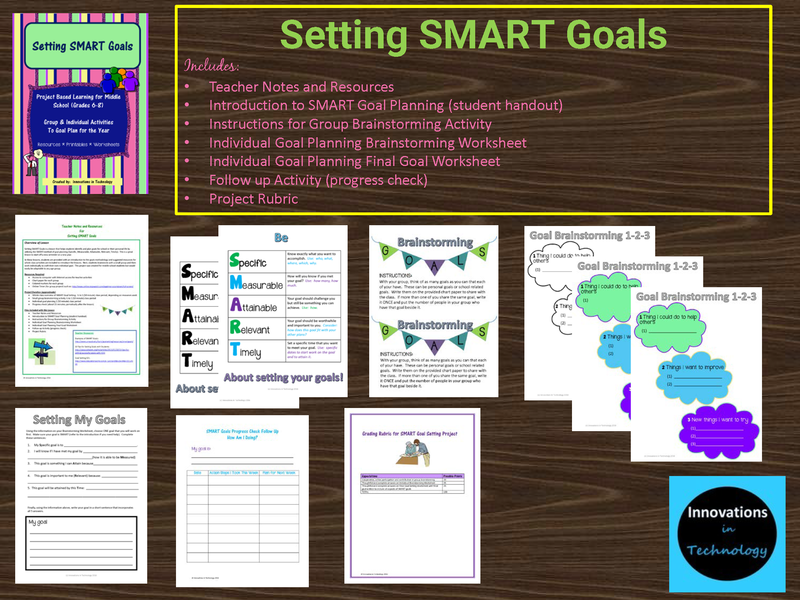 Setting SMART Goals is a lesson that helps students identify and plan goals for school or their personal life by utilizing the SMART method of goal planning (Specific, Measurable, Attainable, Relevant, Timely). This is a great lesson to start off a new semester or a new year. 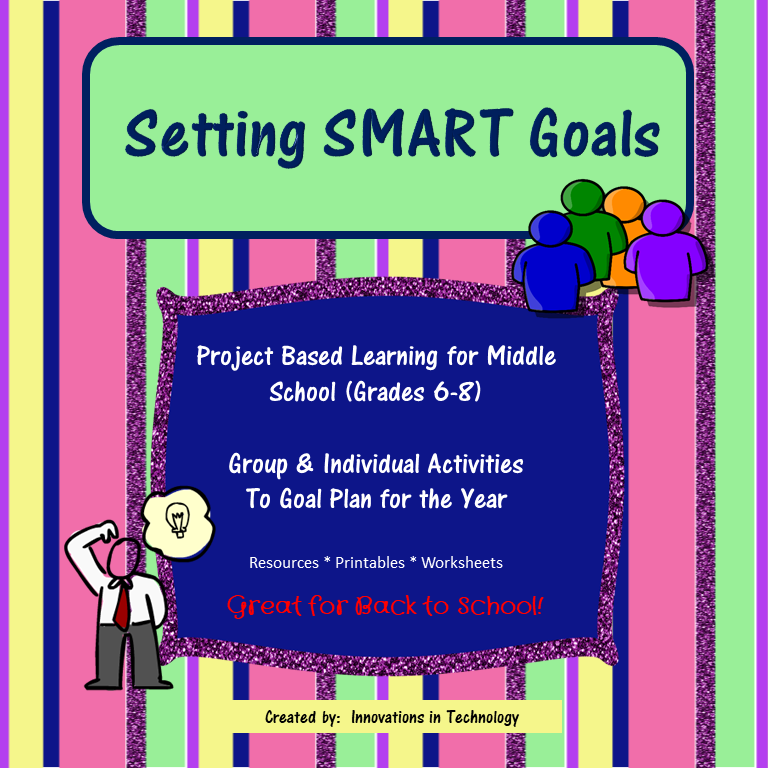 In these lessons, students are provided with an introduction to the goals methodology and suggested resources for whole class activities are included to introduce the lessons. Next, students brainstorm with a small group and then work individually to craft their own individual goal. 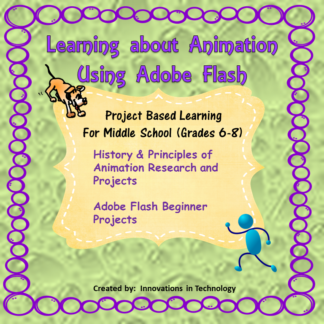 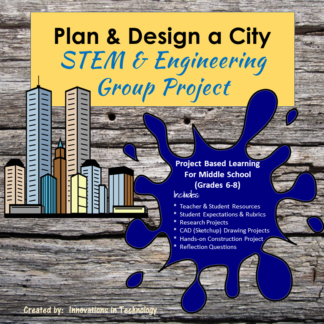 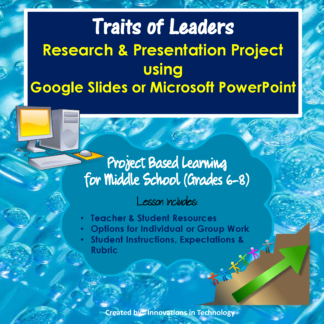 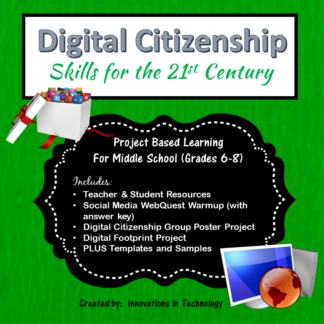 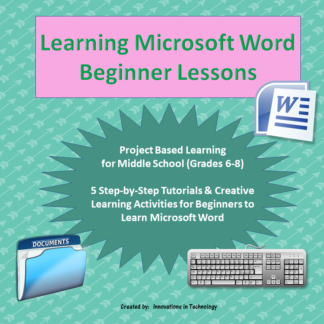 This project was created for middle school students but would easily be adaptable to any age group.